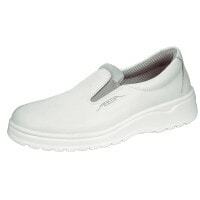 Medical shoes must be durable, slip-resistant and comfortable. 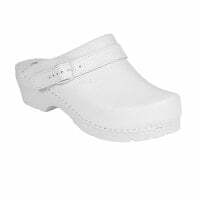 In this category, you will find medical shoes for doctors and healthcare professionals, as well as nursing shoes and other medical footwear at affordable prices. Explore our large selection of nursing shoes and safety shoes for nurses and medical transport specialists at affordable prices. Warm, soft wool socks or heat-regulating bamboo socks - browse the entire range of doctors' socks at Praxisdienst. 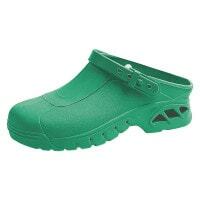 Medical shoes are an important aspect of workwear. The feet of medical personnel are heavily stressed from the constant standing and moving throughout the entire workday. Doctors, therapists and nurses cover a lot of ground over the course of a work day, especially when it comes to hospitals and care facilities. However, there are always phases where long-term standing is unavoidable such as when making the rounds, during operations or assisting activities. These feet-stressing activities can lead to foot pains and even back issues further down the road, if the incorrect medical shoes are worn; especially if one already has issues with his or her feet (for example, splayfoot or a similar ailment). 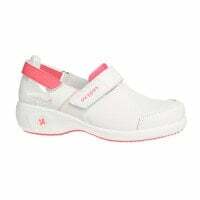 At Praxisdienst, you will find a wide selection of nursing shoes that are designed based on the needs of medical professionals. With the purchase of medical shoes, there are a few aspects that one needs to be aware of, which we will now discuss further. Medical Shoes Should Support the Arch! Misalignments of the foot are among the most common orthopaedic ailments in Europe and also effect doctors, nurses and other medical professionals. Whether it's Hallux valgus, splayfoot or club foot, wearing high-quality medical shoes can prevent the damage from becoming worse. Medical shoes should support the arch under prolonged stress and work against pain and overexertion. For this purpose, they typically have an anatomically shaped insole that evenly distributes pressure and offers sufficient space to roll the foot when walking. Since wearing specially adapted orthopaedic insoles is the best solution for alleviating ailments and preventing worsening conditions of foot misalignment, many nursing shoes have the ability to replace the included insole with an orthopaedic insole. Medical Shoes Should be Easy to Clean! Blood, wound exudate, vomit–medical personnel in sick and elderly care professions come into contact with potentially infectious bodily fluids, daily. It is not seldom that medical workwear becomes contaminated and must, therefore, be cleaned and disinfected. Obviously, this also applies to medical and nursing shoes. 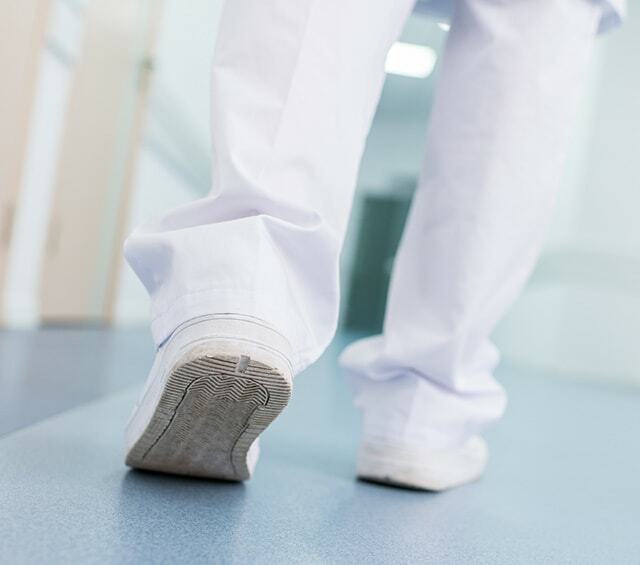 When purchasing their work shoes, nurses should, therefore, ensure that the shoes are easy to clean and that they can be treated with disinfectants. Medical Shoes Should Have Shock Absorption! Our feet often undergo extreme stress during the daily life in medical work; the heel, in particular, must be cushioned from the heavy load with each step. Therefore, the heels should be supported as much as possible by the nursing shoes. For this reason, high-quality medical shoes usually have a shock-absorbing outer sole that relieves the joints and spine by reducing the intensity of the impacts that occur when walking. Despite the dampening effect, the wearer should not lose the sense of contact to the floor on which he is walking. Such a scenario could cause imbalance and be dangerous for the wearer as well as the patients. Medical Shoes Should be Breathable! In order to ensure that the sweat build-up by the feet does not congest in the shoes, it is important for the medical shoes to be made of breathable materials. For this purpose, real leather or special, high-tech materials may be used. If the sweat cannot escape and sits for hours in the shoes, then the warmth and humidity could lead to uncontrolled germ propagation. Aside from possibly causing foot fungi to arise, this can also cause germs from the surgery or hospital to be carried home. Ideally, nursing shoes should be chosen that have a moisture-releasing inner lining and a breathable outer material. To ensure that the shoes completely dry out, one should ideally have two pairs of nursing shoes to wear interchangeably. The choice of the proper medical shoes is not so simple, as there are various aspects to consider. First of all, it is important to look after the needs of your own feet (absorption, insole, etc.). However, one must also consider work safety. Because the requirements are dependent upon the profession and individual responsibilities, the required characteristics of the medical shoes can vary greatly from person to person. We would like to support you in your selection of the appropriate medical or nursing shoes and, in doing so, we provide you with a few helpful tips. Because the adult shoe size can still change as a result of foot misalignment or body weight, one should more precisely measure his or her feet once more prior to purchasing new medical shoes. One should do this following a longer period of walking or standing since the feet somewhat swell during these activities and the new shoes could, therefore, not fit quite right. In the operating theatre, autoclavable clogs made from special synthetics are mostly worn. In order to provide the surgical team with stability and prevent them from sliding out of the shoes, the surgical shoes have a foldable and, in the best case scenario, an adjustable heel strap. In all areas where mechanical dangers are present, either from falling objects or from transporting patients, one should absolutely wear safety shoes with a toecap. This safely prevents injuries from wheelchairs, hospital beds or other objects used in daily clinical work. Medical professionals who only cover small areas throughout the day or who work in reception, usually only require simple work shoes with a good insole and shock absorption. Hospital doctors mostly prefer leather medical shoes that offer comfort, breathability and shock absorption. At Praxisdienst, you will not only find classic white medical shoes, but also nursing shoes in many great colours and patterns. 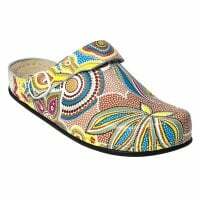 Whether you are looking for nursing clogs with flower designs, sneakers with colour accents or slightly colourful surgical clogs, you can purchase the proper nursing shoes from Praxisdienst. 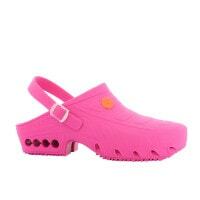 We offer you nursing shoes, doctor's shoes and safety shoes at affordable prices. Do you need advice in selecting the proper work shoe or are you looking for a specific model? Our friendly customer service can be reached by email, chat or telephone.